The College of Arts and Sciences Office of Communications oversees most web design services and digital communications for the College of Arts and Sciences administration and college-affiliated departments, schools, and programs. If you are wanting a new website, a redesigned website in the new university templates, or video or photography services, please complete the project request form. Once the form has been submitted and approved, our web/digital manager will be in contact with you about your project. If you need assistance with changes or updates to your website, please submit content (text and/or images) according to the following procedure and guidelines to help us complete your request as quickly as possible. Be sure to email all content and instructions to artsciweb@utk.edu (do not send to an individual staff member’s e-mail address). Send a full web address (URL) for every page that contains an update (make sure the URL you specify actually works). 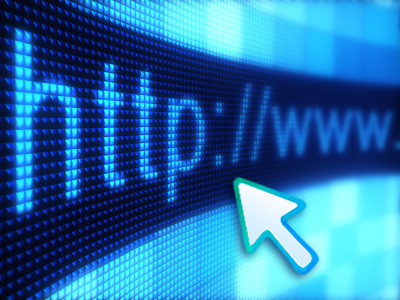 The URL is the web address that is shown in the address window at the top of your web browser when you are viewing a particular web page (e.g., http://www.utk.edu). Beneath the page URL, list the new content for that page along with instructions (if necessary) indicating what goes where. Please email all images associated with your edits. You can place the images in the document with the edits or you can attach them as individual files. If you are attaching them as individual files, please note in the text where each image will go and the name of the image you want in that location (e.g., [insert aryes.jpg here]). Make sure the image is in one of these formats: JPG, PNG, GIF, TIF, EPS, PSD, or PDF. If you are linking text or an image to an external URL (e.g., google.com) or to an existing page within your website (e.g., http://artsci.utk.edu/advising/), please note the URL next to the link in the text (e.g., [link to http://artsci.utk.edu/advising/]). If you are creating a link to a new page, please note that it is a new page next to the link (e.g., [link to new page]). If linking to a document, attach the document to the e-mail and note next to the text the document name (e.g., [link to Seminar Schedule.pdf]. NOTE: Unless requested otherwise, all documents will be converted to PDF. If there are only a few changes in a table or large block of text, highlight only the text to be changed in a bright color (red is good). Significant time can be saved by not reformatting the whole page or large section if it is not necessary. If changes are frequent and scattered throughout the text, send all of the text (no highlighting needed), and we will replace what is on the page with the new text.